Read this #YUBlog article to learn more about Pride in Toronto and here at York University. Thank you for joining us for the York@Pride float this year!!!! Rain or Shine we March & Dance! Come prepared for the weather. We have the most amazing T-shirts for everyone to wear should you want to. The team will meet at the truck on Rosedale Valley Road to prep at 1:30pm. The Parade begins at 2pm. No vehicles will be allowed to enter, so you will have to walk down the line of floats to meet us at section J28. Enter at top of Rosedale Valley Road and Park Rd, just off of Church. We are behind: Ryerson Students’ Union and in front of: Glow Centre for Sexual and Gender Diversity at the University of Waterloo. In this workshop, learn about gender identity and sexual orientation, the impact of homophobia and transphobia on employees, and how to better support LGBTQ* employees. Learn about using inclusive language, being a supportive ally, campus resources, and creating safer spaces on campus for gender and sexually diverse students, staff and faculty. The June 18th workshop is a part of Pride@York events and will include a Know Your Pride component. This session is eligible towards a REDI certificate of completion. Visit the Pride Reception to listen to our honoured guests discuss their commitment to the equity and safety of 2SLGBTQIAP* communities at York U while enjoying some delicious rainbow cake. The 38th annual Pride Parade in Downtown Toronto is one of the biggest Pride Toronto attractions, and the Pride@York float will be there! Come help decorate the float, designed by Toronto artist Natalie Wood. Stay tuned for more details about more activities! 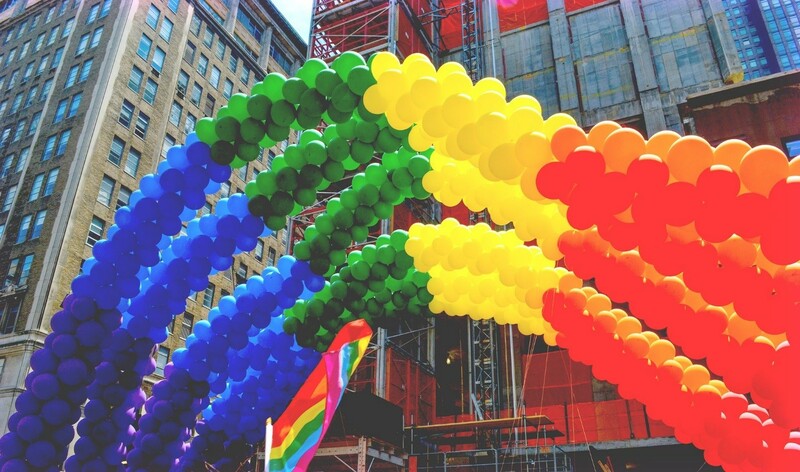 The 38th annual Pride Parade in Downtown Toronto is one of the biggest Pride Toronto attractions, and the Pride@York float will be there! Come join the celebration and see the Pride@York float, designed by Toronto artist Natalie Wood. Thank you for joining us for the York@Pride float this year!!!! Rain or Shine we March & Dance! Come prepared for the weather. We have the most amazing T-shirts for everyone to wear should you want to.The team will meet at the truck on Rosedale Valley Road to prep at 1:30pm. The Parade begins at 2pm. No vehicles will be allowed to enter, so you will have to walk down the line of floats to meet us at section J28. Enter at top of Rosedale Valley Road and Park Rd, just off of Church. We are behind: Ryerson Students’ Union and in front of: Glow Centre for Sexual and Gender Diversity at the University of Waterloo.